Ruby red with purple highlights, it expresses attractive notes of red fruit and violet in the nose, enhanced by a balsamic hint. Its natural acidity on the palate is well balanced by a round and enveloping tannic structure. Full-bodied, it closes with a good wake of savouriness for a nicely persistent finish. Ideal with all courses of a meal, Morellino di Scansano accompanies pasta dishes with elaborate sauces and meat-based mains typical of Maremma cuisine. Pici with ragout. 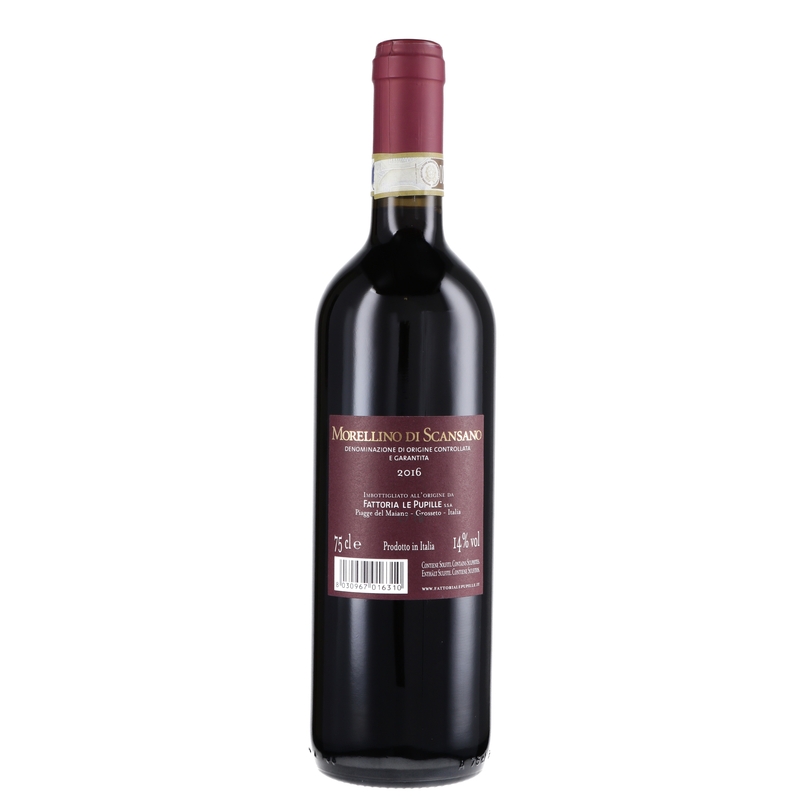 Le Pupille Morellino di Scansano is the product of a very traditional cuvée, dominated by Sangiovese, with the addition of small amounts of Alicante and Malvasia Nera. The result, after ageing for several months in steel, is a young, fruity and smooth red wine. 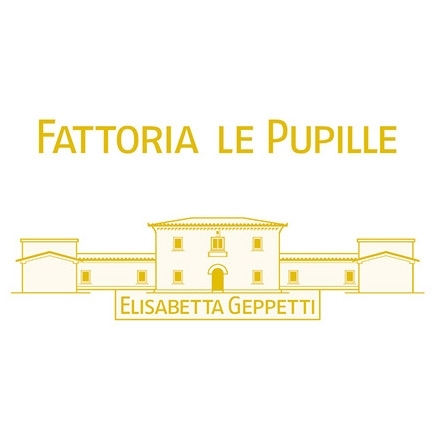 Born with Elisabetta's first harvest in 1985, Fattoria Le Pupille's Morellino di Scansano DOCG is a red wine that has always accompanied the estate as a full and constant expression of the territory and its potential.